Properties listed here in Indiana may include ads from for sale by owner acreages, homes, land, vacant lots, commercial properties & more by motivated sellers. Any type of real estate advertisements including houses, businesses, ranches, hunting and fishing properties, country homes, estates, luxury properties, commercial buildings, residential lots and large acreages. 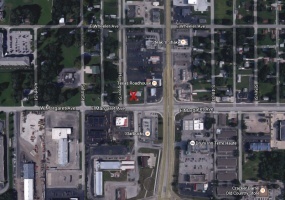 2 1/2 Acres for sale in Owensville, IN. Land has been farmed and has had watermelons, alfalfa, wheat and corn. Ground is sandy and has 1500 gallon septic tank with chambers. Great location on the corner of 850 and 1125 with access on two sides of the property.Contact Ronald Scott at 812-909-3725 for more details. Two commercial lots totaling .57 acres for sale (4 1/2 city lots). Great location with close proximity to US HWY 41 and I-70. Rectangular in shape and 24,829 square feet in size. Good access with frontage as follows: 133 Feet on Margaret Ave and 171 Feet on Harding Street. The site has an average depth of 171 ft and it is a corner lot.Soil: Typical of region and adequate to support development. 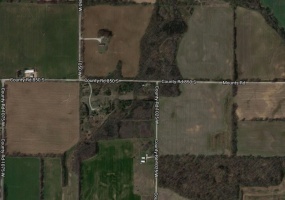 Private, 41 acre ranch property down the road from Main Street in Brownsburg. 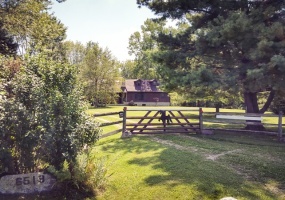 Thirty of the acreage (fields) has been zoned/plotted for houses and in the middle of the other six acres lays this beautiful ranch style home. These 41 rich acres can be sold to you separately (30 acres to builder/developer/investor and 6 acres a family) or together (all 41 acres to one buyer). Excellent, well located piece of untouched land would be great to build apartments or condos on. This property is zoned for residential. The surrounding land is in a very good neighborhood. There is a total of 2.688 acres that is very accessible and can be divided into 8 lots. Naturally preserved and never been built on. Utilities are available and City water on property edge. Located at 1143 N.